I’ve been meaning to blog about this fantastic exhibition for ages…but have been drowning in undergraduate exam marking…that time of year! I had a super time visiting, with my Mum, a few weeks ago. The work is so inspiring and the colours are incredible…I’m not sure any of pictures do the work justice! 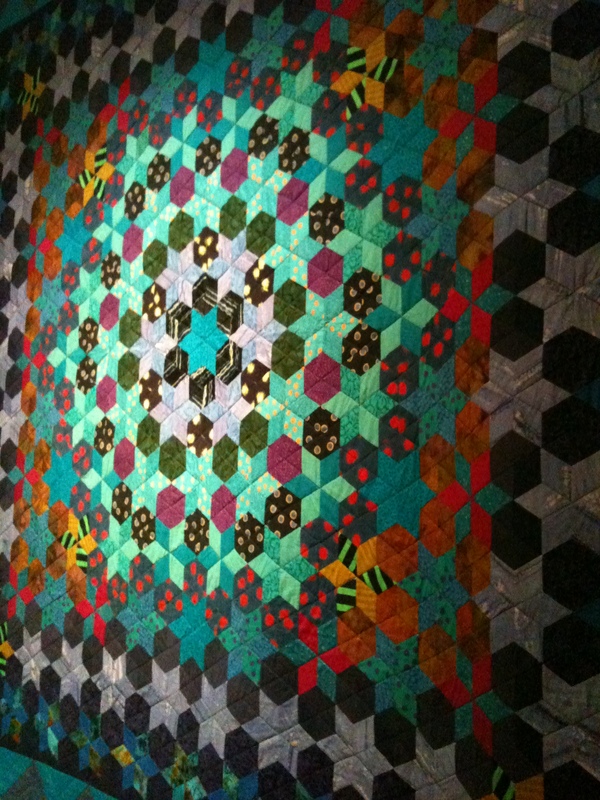 The exhibition is full of patchwork, beautiful embroidery, clothing and knitting. It’s really worth a trip…and there is a lovely café attached!